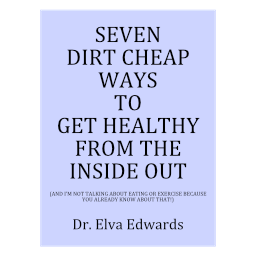 Dr. Elva Edwards – Dr. Elva Edwards, D.C. Her grandmother was suffering terribly and the medical doctors were unable to help her, but what she learned from that class was nothing less than spectacular. Until then, she didn’t realize that there were parts of healing that are not normally addressed by medicine. That experience spurred a desire for her to pursue a career as a chiropractor, and learn more about natural healing. Dr. Edwards has chosen to devote her life to the healing arts, not only because there is great need, but because she loves helping people. Unfortunately, there is no shortage of suffering and medicine doesn’t have all the answers. While medicine is excellent at what it does best, many people still suffer with many problems that have not been helped through traditional medicine. This is where Dr. Edwards excels. She emphasizes the connection between mind and body and has taken class after class and studied with the best and the brightest to make certain that her patients achieve healthful lifestyle changes. 303-980-4001. You will be glad you did!